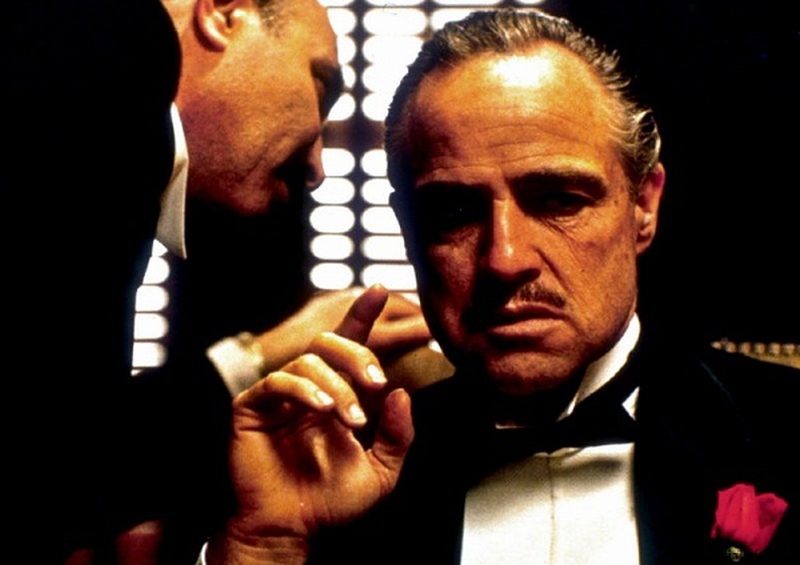 The mafia has fantasized and entertained the world for years, helping filmmakers to create one of a kind movies. The characters in these mafia movies are deep, learning how to cope with their moral dilemmas, the drama surrounding them, and the constant action of their lives. If you are curious what the best mafia movies ever made are, then you have come to the right place. Here we selected 10 best mafia movies that are not only popular all around the world, but also has a large group of loyal fans. They are ordered by release year to help you find the destination more easily in case you’re looking for a specific era. Following the infamous love story of Bonnie and Clyde, this movie further romanticizes their life of crime. According to the movie, Bonnie is bored with her small town life and Clyde plans to rob banks in order to live a full life. Entranced by the life of these two and their small crime gang, this mafia movie shows just how much danger followed in their wake as well as how much in love they truly were. With a history of crime, the “Godfather” Don Vito Corleone must begin to pass on his heritage to one of his son’s, but his youngest, Michael, resents following in the same life of crime, especially after becoming a decorated marine. The remainder of the movie follows a series of events that eventually leads Michael to helping and avenging his family. With a world-class cast, this film makes its way on the list of best mafia movies for its action. It takes on the arrest of Al Capone during the mob wars of the 1920’s in Chicago. Rampant with non-stop action sequences and plenty of gunfire, De Palma shows the determination of one agent as he uses a small team to take down one of the biggest crime bosses in history. After being gone from New York’s Hells Kitchen for a decade, Terry Noonan finally returns and contacts his good friend Jackie. His friend is now involved in the Irish mob run by Jackie’s brother. In addition to reuniting with his friend, Terry rekindles his romance with Jackie’s sister. Not long after his return, however, Terry must make some hard decisions that will test his loyalty to his friends, or his loyalty to others. When a young boy witnesses a shooting done by the Bronx Gangster Sonny, they begin a lasting bond. The father of the young boy disapproves, of course, leaving the young boy to be torn between obeying his father and fulfilling his desire to learn more about Sonny. This movie is considered one of the best mafia movies because it shows the torment a young boy goes through as he must decide his own fate while still appeasing those around him. When Clarence goes out for a lonesome night at the movies, he is surprised to meet the lovely Alabama, and the two quickly fall in love and get married. However, Clarence wants to rid his new bride of her past as a prostitute, so he kills her pimp and steals some of the pimp’s drugs. As such, a group of gangsters begin following them in order to retrieve the drugs, making their life of romance turn into a life of danger at every corner. In a way, this best mafia movie is a coming of age tale, but not in the normal sense. A young boy is smart enough to hire an attorney to protect him after he witnessed the suicide of a mafia lawyer, but the district attorney quickly turns the table and attempts to use the young boy to infiltrate the mob family. A story of moral rights and wrongs, “The Client” is sure to make you question the district attorney’s actions and loyalty. When a twelve-year-old son sees just what his father and his father’s friend do for a living, Michael Sullivan Jr. is traumatized and sworn to secrecy. Although the boy agrees to keep the secret, his father’s friend does not trust him, so he makes arrangements to have the boy and his family killed. Despite having worked together for so many years, Mike Sullivan Sr. knows they must leave quickly if they want to survive since his friend will be protected by the other local mobsters even if he would do something as terrible as a murder. A cop infiltrates an Irish gang while one of the same Irish gang members has turned into the police force as a mole, making this one of the best mafia movies for its time sensitive issue of who will discover whom first. The driving force in this film, however, is which mole decides to turn on their undercover assignment first in order to save themselves, or remain undercover in order to finish the job they were assigned. This film follows the last years of crime for John Dillinger, who’s known for his bank robbing skills. In fact, this one of the best mafia movies shows just how openly Dillinger lived in Chicago, having little fear of repercussion from authorities, while little did he know that the FBI was on to him. Although Director J. Edgar Hoover preferred clean methods, FBI agent Melvin Purvis knew that only street tactics would finally bring down the notorious Dillinger.